Strong power and nimble handling highlight the new 2017 Ninja 650 motorcycle. 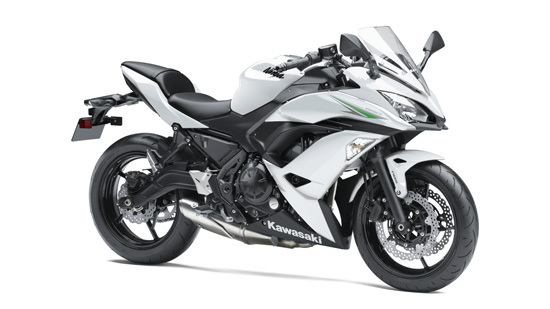 Exciting and easy to ride with sporty performance and aggressive styling, the modern Ninja 650 stays true to its Ninja roots. Rounding out the package, a comfortable and adaptable upright riding position makes the Ninja 650 an exceptional everyday ride.